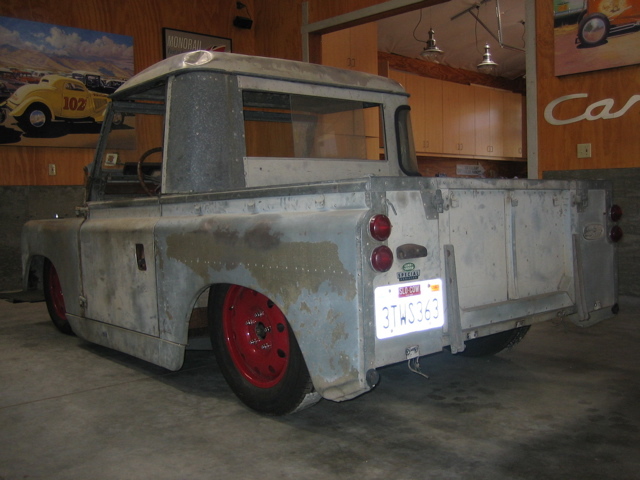 Lowered short wheel base 1964 Land Rover? 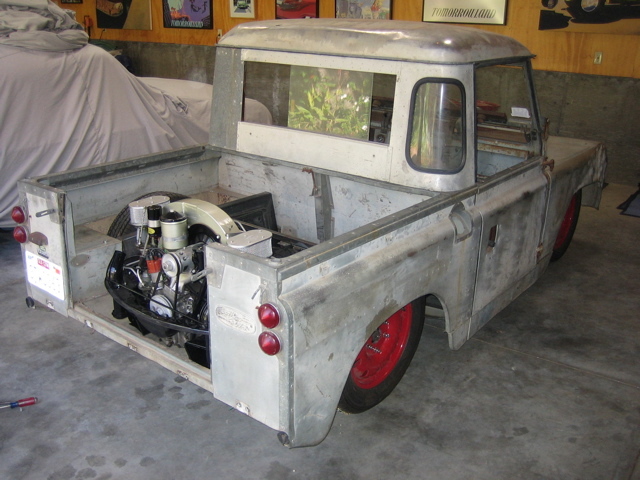 I’ve been building this stupid thing for about 3 years now… powered by a 1961 Porsche 356 Super 90 engine in the back… on a custom frame my buddy Jason and I put together… Cary McCune just finished fabricating the E brake cable mechanism (all custom) to the rear disc brakes. Next up is modifying the Burch exhaust to fit inside the tailgate. This thing is lowered about 15 inches… should be fun when done.